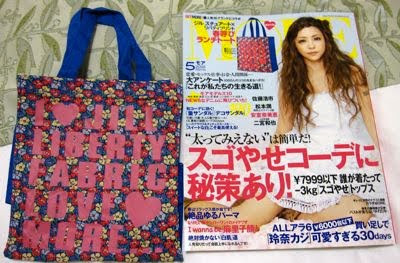 Here's a preview of some upcoming Japanese magazine freebies. 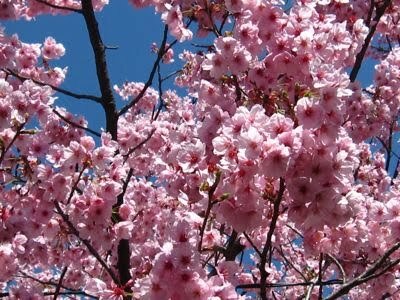 The release dates are for Japan. Steady (7 April): Rebecca Taylor x Ipsa two-layer makeup pouch. 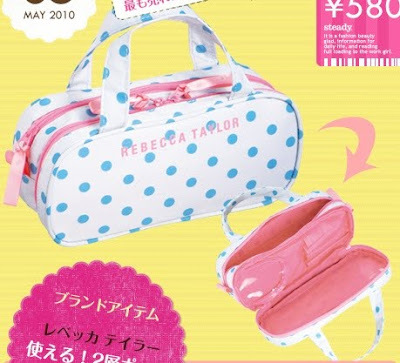 The polka dot print is from Rebecca Taylor's Spring 2010 collection while the pouch design is from a previous Ipsa pouch. See the video clip here. 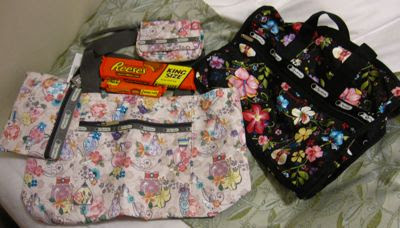 InRed (7 April): Veinica pouch and scrunchie. See the video clip here. 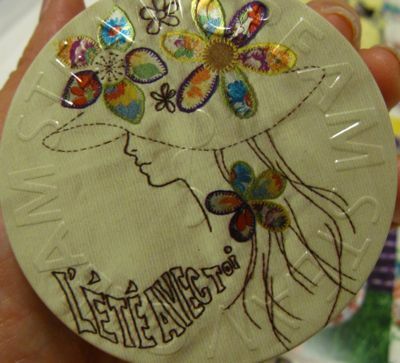 Cutie (12 April): HamburGirl pouch. See the video clip here. 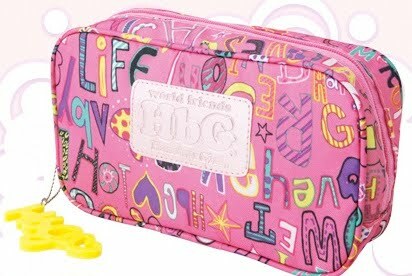 Mini (1 April): Beams Boy pouch and Cher stickers. See the video clip here. 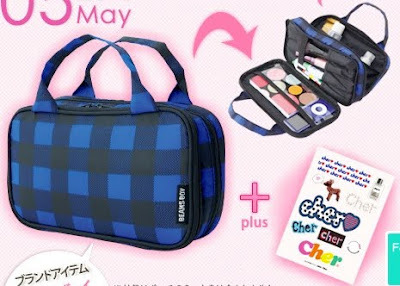 Nonno (4 April): Sly drum bag. 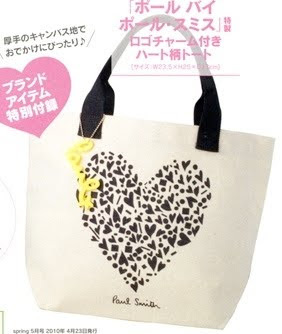 Spring (23 April): Paul Smith tote bag (23.5x25x13cm) with charm accessory. 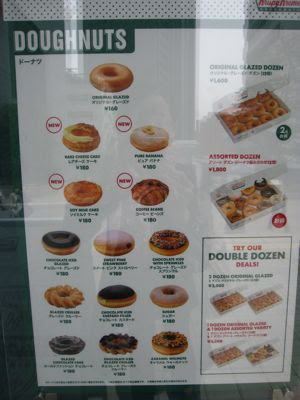 Started our third day in Tokyo with breakfast at Krispy Kreme in Shinjuku. 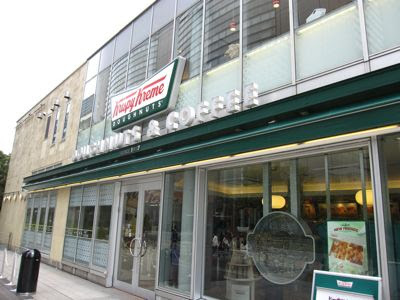 The long queues have finally dissipated now that Krispy Kreme has been here for about three years although it is still common to see people walking around with four or five boxes of Krispy Kreme doughnuts. We got the chocolate glazed, banana, cheesecake and chocolate with sprinkles doughnuts. 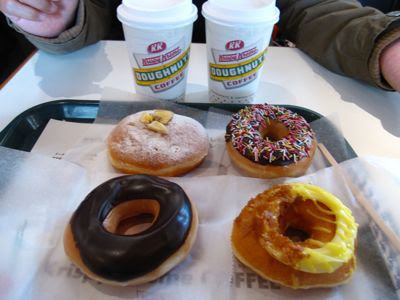 I must say that Krispy Kreme doughnuts are yummier than J.Co. While J.Co has more interesting flavours, the Krispy Kreme doughnuts have a superior texture. 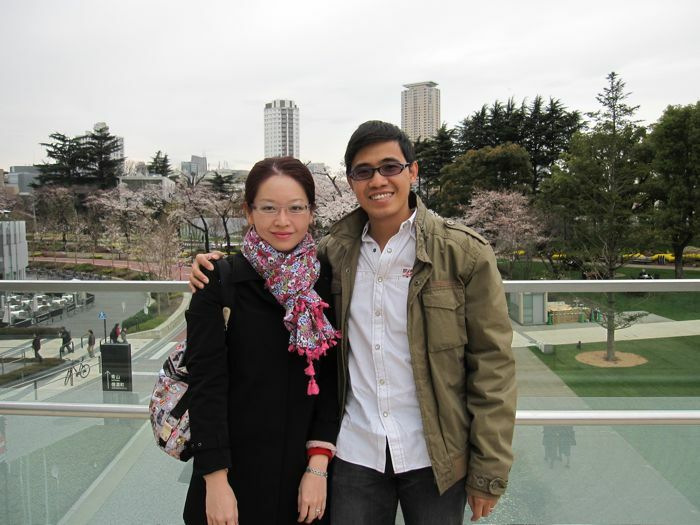 Next, we caught the Renoir exhibition at the National Art Gallery. 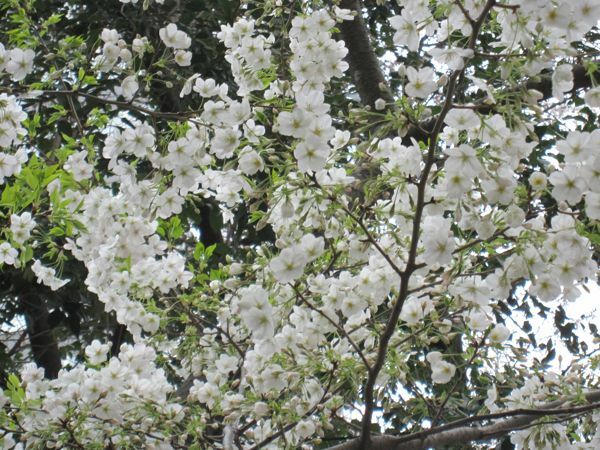 If you are in Tokyo, this is well-worth catching for the comprehensive display of Renoir's masterpieces. I'm not an art connoisseur but seeing the paintings up close was still a moving experience. 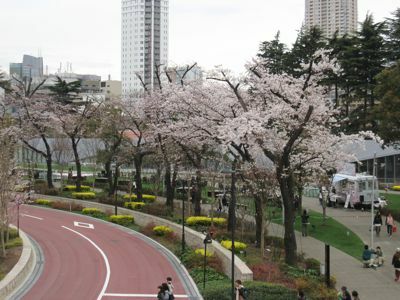 This is at the park in Tokyo Midtown in Roppongi. 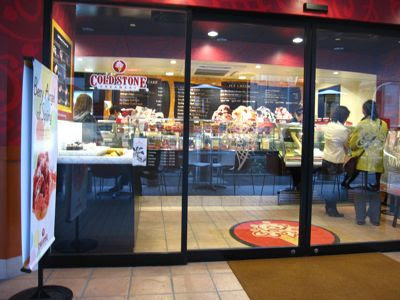 We also stopped by the Cold Stone Creamery in Roppongi Hills. Like Krispy Kreme, there used to be a long queue even in the depth of winter but not anymore. 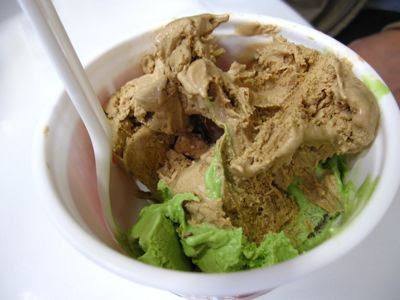 The serving size is much smaller compared to what we got in Honolulu though! 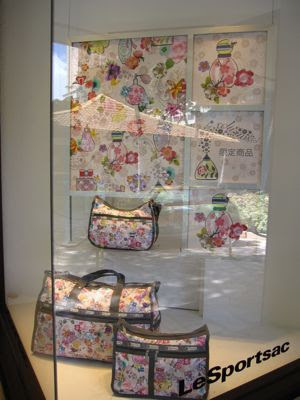 Here's a pic of the Paul & Joe Summer 2010 collection from the brand's Facebook page! 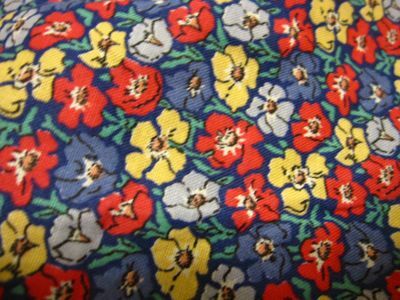 The print is not really that appealing to me so I'd probably pick up just one or two items from the collection. 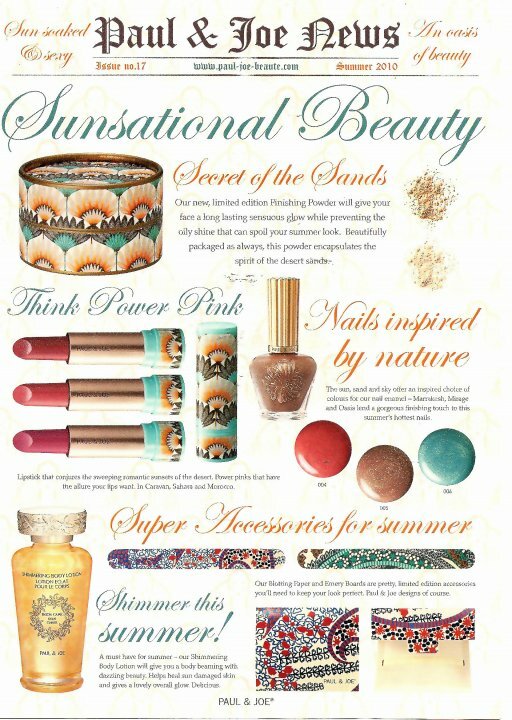 Also do check out the Beauty Look Book for more pics and news. 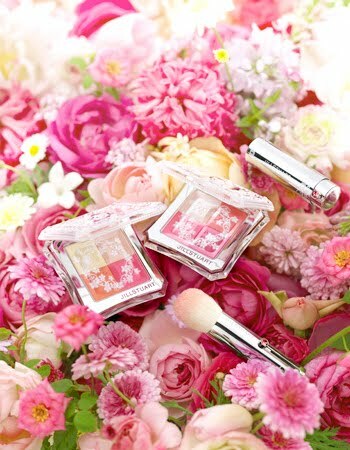 The Jill Stuart website has been updated with the two limited edition Mix Blush Compacts that will be released in Japan on 16 April. 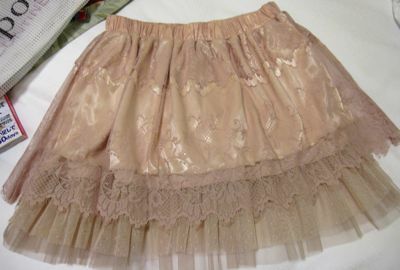 These are already on display at the Jill Stuart counters in Japan for members to place reservations. The white flower garland motif rubs off quickly and underneath it, the blushes are just the typical pink-toned blushes, to be honest. 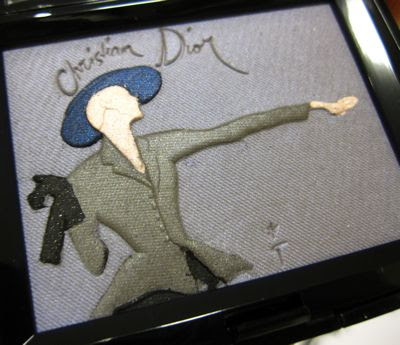 If you already have several Jill Stuart Mix Blush Compacts, then you probably do not need these. 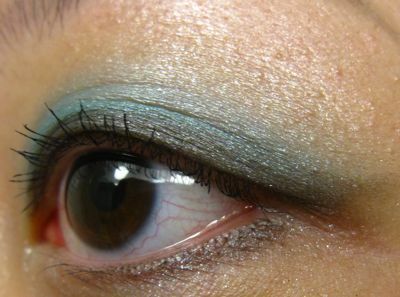 The Visee website has been updated with the Mercury Duo collection. 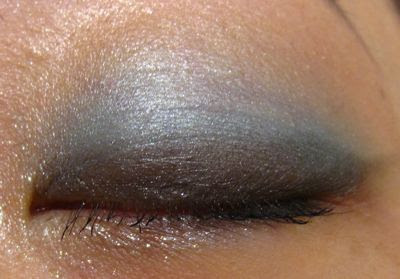 Check out the two looks, Girly Glam and Feminine Glam, and application tips here! 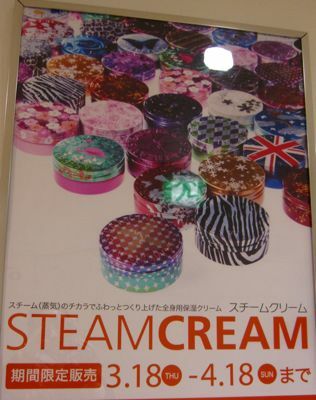 The Steam Cream poster that started yet another desire to collect them all! Picked up the May issue of More magazine (590yen) today as it comes with a Jill Stuart small lunch tote bag in a Liberty print. 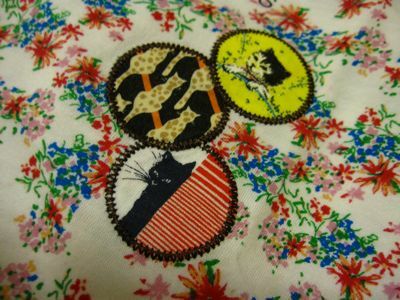 Liberty prints are currently very popular in Japan and can be seen from the MAC counters to clothes and bags by brands such as Samantha Thavasa. A Liberty mook ("magazine book") was also published last month. I also caught the Liberty fever in Honolulu, thanks to the Liberty for Target collection. 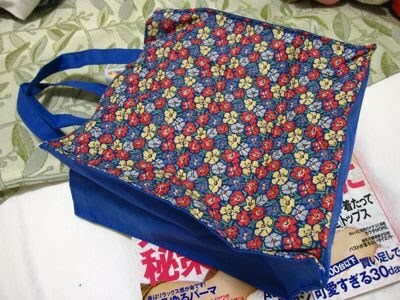 The cotton and polyester tote is quite small (21x20x10cm) although it has a fairly broad base. It cannot fit A4 or the More magazine but it can fit about 5 DVD cases. 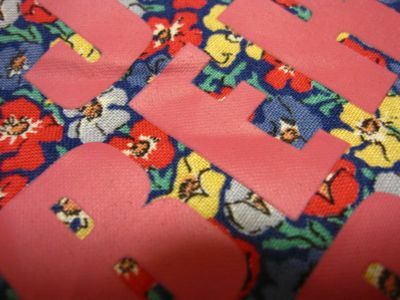 Although I like the cheerful print, the material feels quite thin. 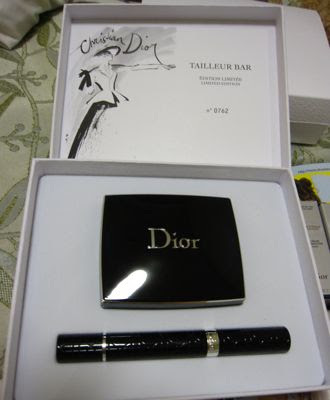 While browsing in the Isetan Shinjuku store today, I was captivated by this intriguing Tailleur Bar set at Dior. The collection was just released on 24 March in Japan and is available in such limited quantities that each set actually bears its own serial number. 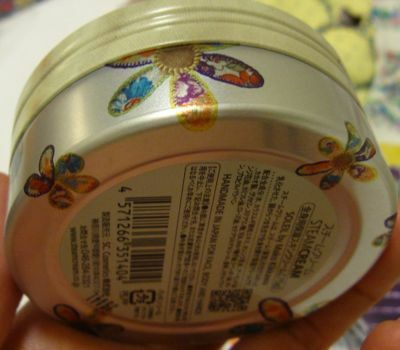 The Isetan Shinjuku store is currently the only store selling this in Japan (but according to the SA, it is not a Japan-exclusive). The Tailleur Bar eyeshadow palette is sold only as part of a set with a Serum de Rouge (for which you can select the shade from the existing range as well as the two new limited edition shades). 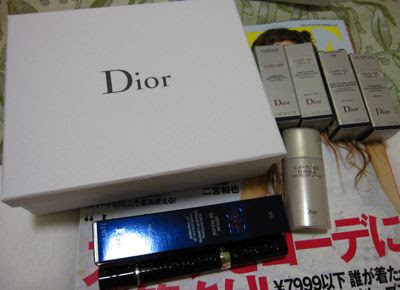 Given how pricey the Serum de Rouge was, I was quite annoyed when I subsequently found that the lipstick could not be retracted into the tube! 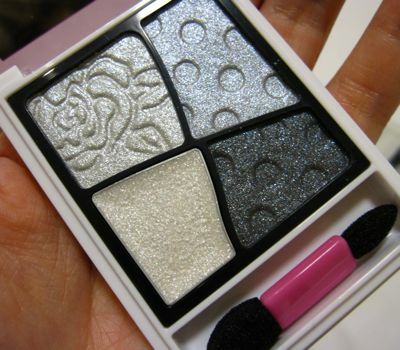 The video playing at the counter showed how the Tailleur Bar eyeshadow palettes are individually hand crafted, making it a true collector's item. 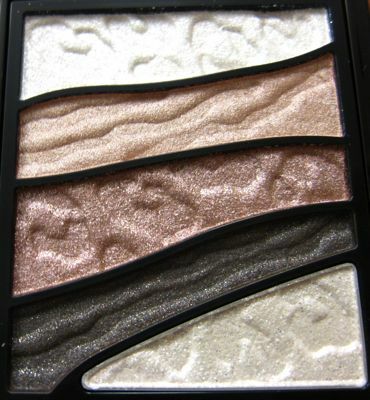 The shades are well-pigmented with a soft velvety texture. 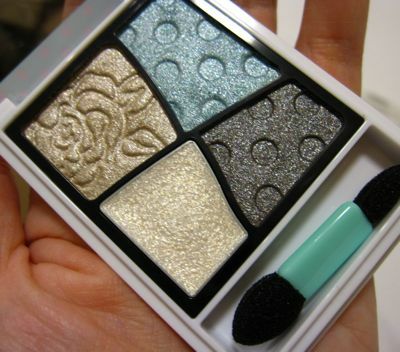 Here's the story behind the name of the palette. 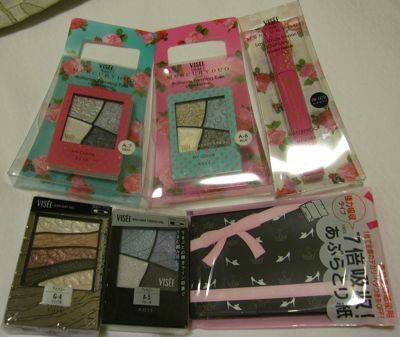 After all the shopping I did in Hawaii, I wasn't planning on shopping that much in Tokyo but still could not resist the new Visee x Mercury Duo collection which was going for 35% off at a drugstore in Shinjuku. 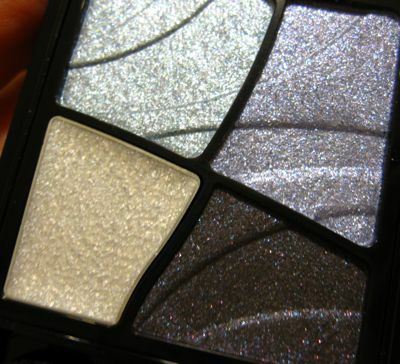 Each of the Brilliance Forming Eyes palettes contains three shimmery powder eyeshadows and a shimmery cream liner shade. 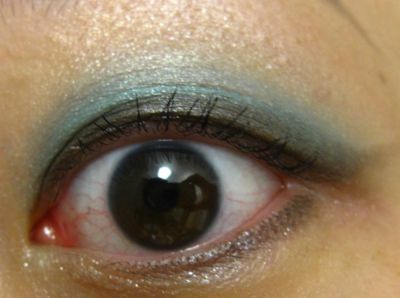 I also picked up the Brilliance Forming Eyes A5 and Glam Hunt Eyes G4. 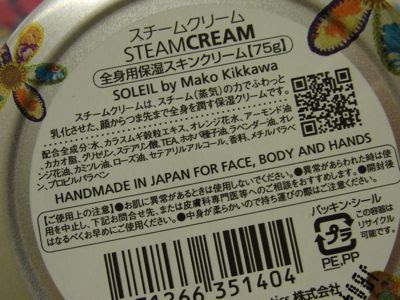 At Seibu department store in Shibuya, I picked up my first Steam Cream (1500yen) #47 Soleil, which is part of a collection designed by Mako Kikkawa. 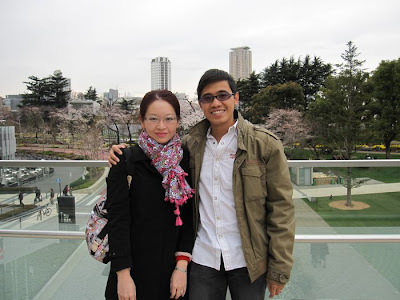 The Steam Cream worked wonders on our hands which were starting to crack and peel in the cold Tokyo weather. You can view the current designs available in Japan here. Aside from beauty stuff, I also picked up a couple of the Paul & Joe Beaute t-shirts that have just been launched at Uniqlo. 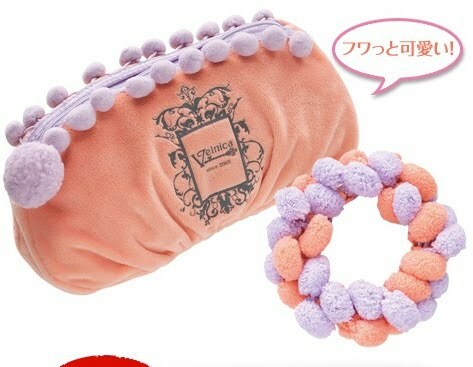 These are 1500yen each or two for 2800yen. 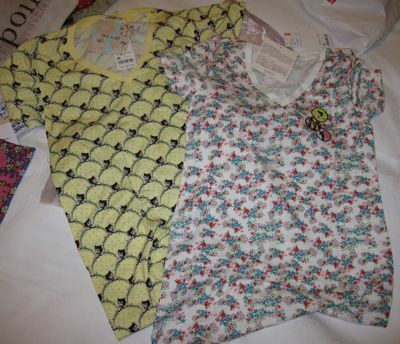 I would have bought more but the cotton was not of the best quality and the T-shirts looked and felt a bit old. You can see the full range here. 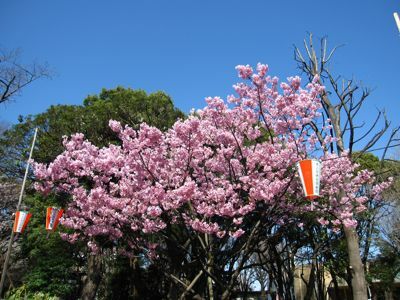 It is currently sakura season in Tokyo with the trees on the verge of full bloom. 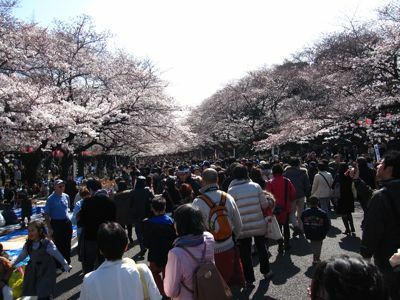 At Ueno Park today, the crowd was quite large despite it being a weekday. 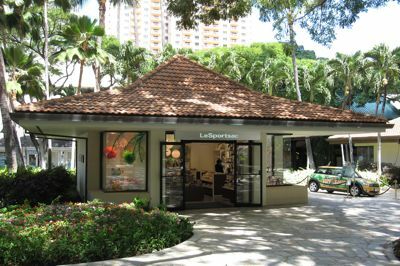 The very first store that I chanced across in Hawaii was a LeSportsac store that was right on the grounds on the Hilton Hawaiian Village. 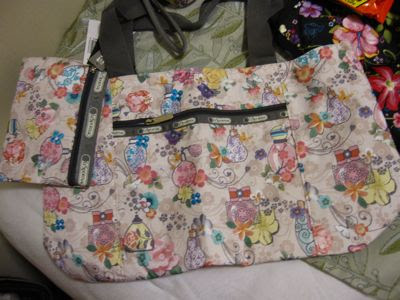 As it turns out, LeSportSac makes quite a number of Hawaii/Guam-exclusive prints just like the Japan-exclusive prints. 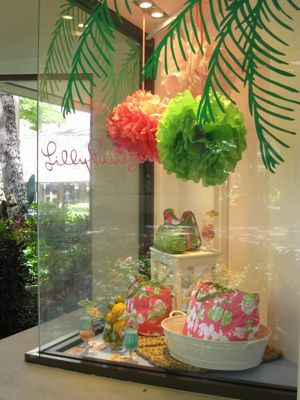 In Hawaii, many of the shops (not just LeSportSac) are manned by staff who can speak Japanese, to cater to the large number of Japanese tourists. 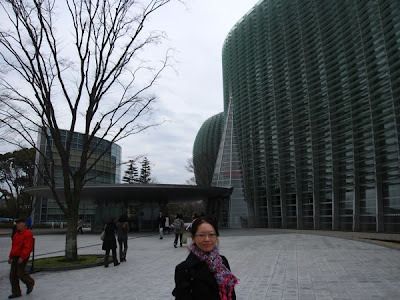 Several shop staff assumed that I was Japanese and automatically spoke to me in Japanese. 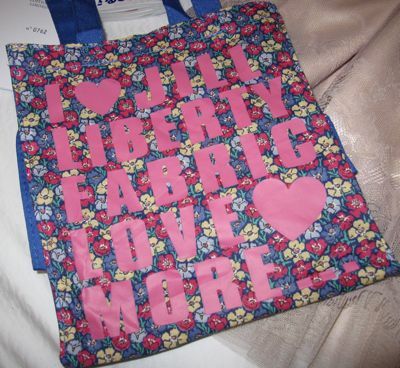 The new Lilly Pulitzer collection was out but didn't really catch my eye. 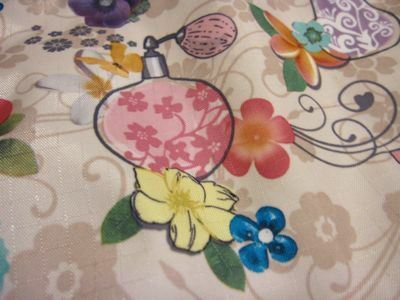 Instead, I was captivated by the Hawaii-exclusive Mesmerize print of Oriental perfume bottles and flowers. I got the Reversible Tote and Melina pouchette (US$38) in this print, as well as the Medium Weekender (US$107) in the Tropical Floral print, which is also a Hawaii-exclusive. 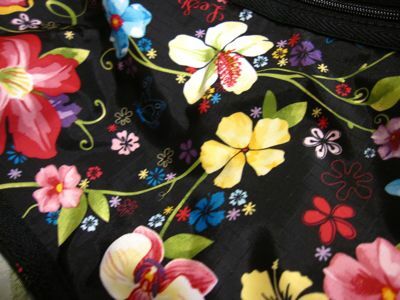 Love the vibrant mix of colours on the Tropical Floral print! 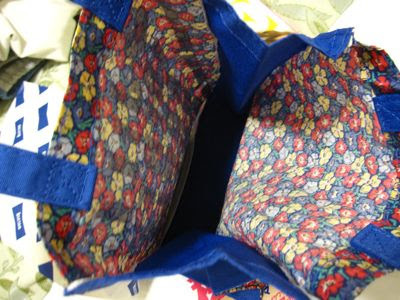 Both the Reversible Tote and Medium Weekender come with matching zip pouches that you can squeeze the bags into. Very nifty for travelling! 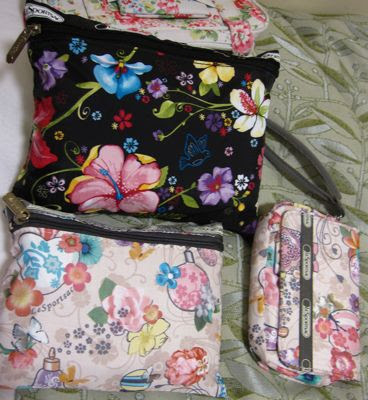 We also visited the LeSportsac outlet at Waikele Premium Outlets which had 30% off the normal retail prices but they didn't carry any prints that I liked. 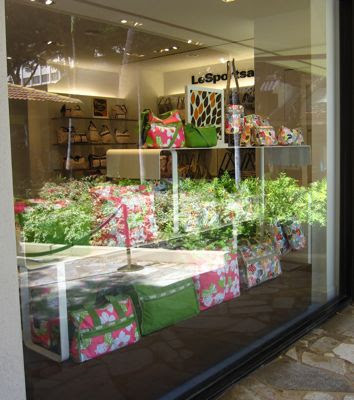 LeSportSac has several stores in Hawaii, including at the airport and the DFS Galleria in Honolulu. 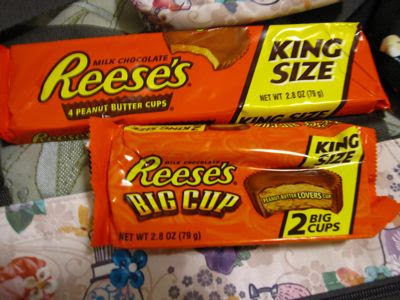 Also snagged some Reese's Peanut Butter Cups at WalMart :-) These are available in Singapore but frightfully expensive.